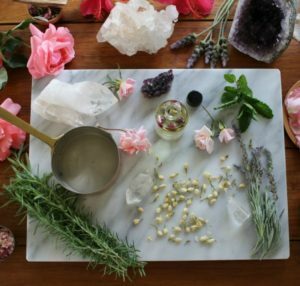 Crystals have been used over the centuries for everything from healing to protection to feng shui, but they’ve just recently made their way to department store shelves in the form of beauty products. The word crystal comes from the Greek word krystallos, meaning frozen light. The belief is that each crystal has its own vibration that works with a specific part of our body or mind, impacting our energy and mood. When used correctly, they can help calm anxiety, energize, boost creativity and more. No longer dismissed as New Age pseudoscience, some of the biggest names in beauty have embraced the use of crystal-infused skincare. Let’s take a look at a few standouts. 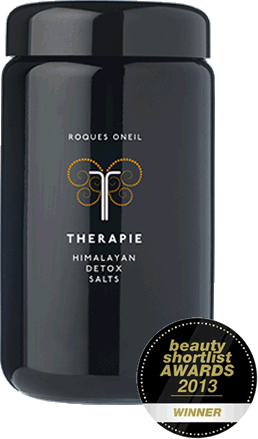 ROQUES ONEIL THERAPIE. Himalayan Detox Salts ($66) Inspired by the medicinal magic of plants and minerals, founder Michelle Roques-O’Neil has spent 30 years exploring the powerful healing potential of aromatherapy and was named by Vogue as one of the top ten aromatherapists in the world. Therapie is an aromatherapeutic collection of remedies designed to help keep your body, mind and spirit in perfect balance. I’ve heard fabulous things about her Heal Me Kit – I’ll be investing in that once the sniffily winter months roll around. But in the meantime, her Himalayan Detox Salts are right up my alley. 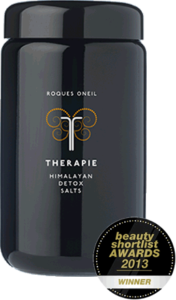 We recently detailed the powerful benefits of Himalayan Salts and ROQUES ONEIL takes it to the next level by combining them with powdered Amethyst crystals and essential oils of lemongrass, juniper and geranium. The result is a formulation designed to help balance pH levels and positive/negative ions to help the body find equilibrium. The high mineral content of the powdered Amethyst is believed to help heal problem skin and counter the electromagnetic energy we absorb from cell phones and computers. AQUARIAN SOUL. 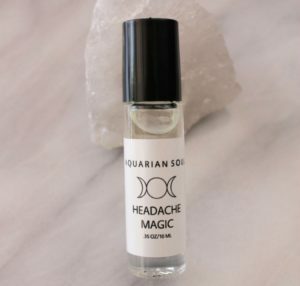 Aquarian Soul + Earth Oils Amethyst Headache Oil ($12) Created by certified Master Herbalist and Reiki Healer Ally Sands, Aquarian Soul bath and beauty products combine Ally’s knowledge of both crystal healing and herbal medicine. Based in California, this eco-minded company uses only recyclable, reusable containers and all products are handmade in small batches with locally sourced herbs and flowers. Ally even hand selects each crystal used in the formulations. Sold online and through Urban Outfitters, this magical headache oil is created with 100% pure almond oil and therapeutic grade essential oils infused with healing quartz and amethyst. As someone who suffers from recurrent migraines, I immediately put this one on my “must try” list! AVEDA. 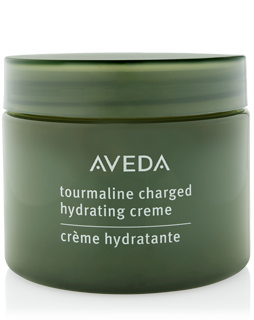 Tourmaline charged hydrating creme ($44) With a corporate vision of connecting beauty, environment and well-being, it should be no surprise that Aveda would embrace the use of crystals in skincare. 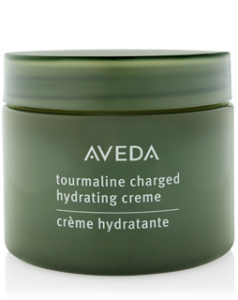 Finely-powdered tourmaline – a naturally energizing mineral – is mixed with marine and plant extracts to hydrate, protect and infuse visible life and radiance into the skin. A natural formula that leaves my skin glowing? Yes please. Another beauty brand that caught my attention is KORA Organics, created by supermodel Miranda Kerr. The filtered water used in the produces is infused with the unique vibrations of the Rose Quartz crystal. According to KORA, this soothing, gentle energy encourages self-love, as the vibration of the quartz flows through the crystals, the products and onto the user. Wow – who couldn’t use a little more love in their daily skincare regimen? While there seems to be no doubt that crystals have found a permanent home in health spas and specialized clinics, the lack of scientific evidence leaves their future in beauty yet to be seen. So while we can’t predict the future (although there are crystals that can help with that! ), whether you are a crystal convert or a newbie to New Age, crystals are definitely having a mainstream beauty moment. Have a crystal-infused product that you love? Share it with us in the comments section!